What kind of condo board do you have to deal with issues that come up? When you think about moving to a condo there’s the implication that your lifestyle will become more carefree and you’ll have less to worry about. Many have told me they don’t miss the responsibilities that come with maintaining a large family home. While the condo lifestyle can certainly ease many home ownership issues, the flip side is that the physical and legal aspects of a condo building can create a new set of ownership concerns. And the best way to deal with these concerns? Devote some time to the condo board so you can have a hand in developing its personality. The condo board is a group of resident owners elected by the condominium community to serve as a governing board. The group is responsible for enforcing bylaws and maintaining common property. Condo boards all have their personalities, cliques and pet peeves. Some boards are preoccupied with fiscal responsibility and are thus reluctant to address problems unless they really have to. Others tend to overdo it with consultations before acting. And, of course, most boards have an antipathy toward dealing with those condo owners who are always complaining about minor issues. One reader, who did not wish to be identified, lives in a highrise condo and is extremely happy with condo life and the condo development they chose. They love their neighbours and they love their condo. But there is one problem; they have high heating bills. Their issue arises because their next door neighbours frequently leave town for extended periods and, when they do, they like to conserve energy and turn their thermostat way down. That results in heat from the reader’s unit escaping through the common wall into the neighbours’ unit. They have to crank up their heat to compensate, which is both inconvenient and expensive. Their biggest concern, though, is that their heating fan runs constantly and the noise is intrusive, especially at night when it keeps them awake. Needless to say, they have spoken with the neighbours about this but the neighbours want to save energy and costs and believe it’s wasteful to heat an empty condo. The question is, how cool are you allowed to keep your condo when you are away for extended periods? In this case, the condo board was asked to intervene but theirs is an otherwise harmonious community and the board members didn’t want to ruffle feathers. 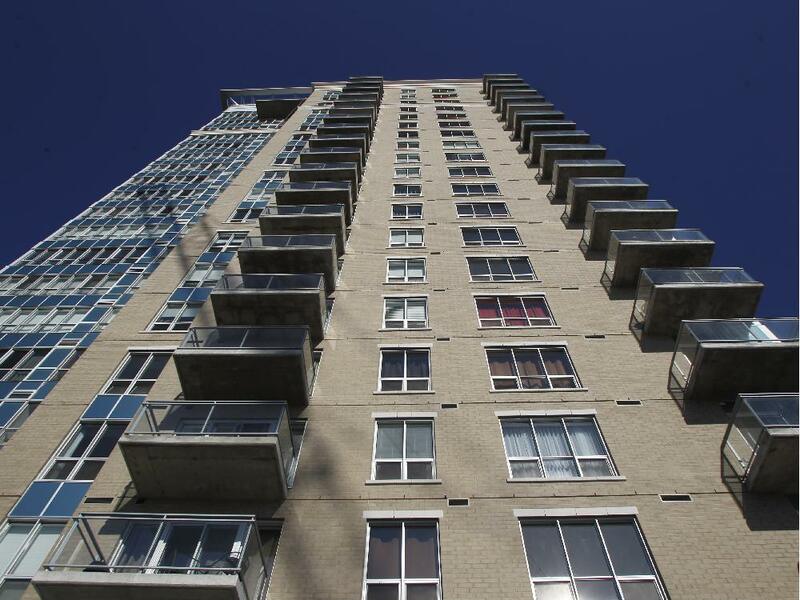 This dynamic is more common in small or mid-sized condo developments than you might think. Of course, there should be rules about how low you can keep the temperature in your condo, and some condos will have these. But what do you do if they don’t? Although it’s unlikely that anyone would keep their unit so cold that pipes would freeze, that really isn’t the point. Cooling one unit excessively redistributes heating costs to the owners of adjacent units and makes their heating mechanicals work harder. Nobody wants to have to wear noise-cancelling headphones so they can sleep. Does the condo board have a right to tell you how cool you can keep your condo? This is an excellent question to ask before you buy. If the owners of adjacent units lower their heat significantly, it can have implications for your unit through special assessments when the building’s mechanical systems are affected. A condo’s management company may also have a role to play in ensuring that empty units or those owned by snowbirds don’t create problems for other residents. It is actually a responsibility of the owner to turn off the water source if leaving a condo for more than 48 hours. And there should be rules about thermal responsibility. Make sure you ask questions about these issues. Another reader contacted me regarding a leaking balcony. His wife approached their board about a damp spot on a wall in their living room. Because of the design of the development they felt it might be a leak from the balcony of the unit above. The condo board underestimated the seriousness of the problem, thinking it was simply cosmetic, and suggested the area be touched up. It was painted over and the reader forgot about it. Months later, his wife noticed staining on the hardwood floor and detected mould. The water had continued to leak slowly down the wall and seeped under the floor. The flooring had to be replaced. The issue was whose insurance should pay for the repairs, which by now were significant. Surely the condominium’s insurance should pay? Well, it did cover basic repairs, but the hardwood flooring was not covered as it was an upgrade. Who then? The owner’s insurance? The insurance of the owner whose balcony was leaking? This group is still sorting these issues out, undoubtedly detracting from the ownership experience at least for a while. So if you want your condo board to have a personality you agree with to help avoid or solve some of these issues, devote some time to joining it.